This series of Creation Preschool Bible lessons will introduce younger children to God’s Work as maker of all. Each lesson is printable and includes extra ideas. This is a six part series of lesson plans to teach preschool aged children about God making the world. I’ve also linked to our craft and song ideas for these lessons. 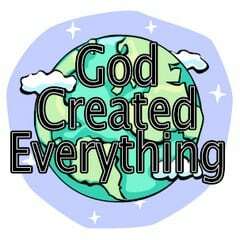 ABOUT THE CREATION OF GODS WONDERFUL WORLD. I WANT TO THANK YOU AND GOD BLESS YOU. Tony Kummer (Editor) reviewed & updated this page on : April 5, 2011 at 1:01 pm. All our content is peer reviewed by our readers, simply leave a comment on any post suggest an update.